Property industry stakeholders’ responses to Budget 2017 announced by Prime Minister Datuk Seri Mohd Najib Razak have been mixed. According to the research division of Public Investment Bank Bhd, property-related wish lists were totally ignored with matters made worse by the 1 per cent increase in stamp duties for properties above RM1 million. “Given the lack of significant measures, we do not expect particularly strong reactions (up or down) as market participants will probably move on quickly to focus on the macroeconomic conditions,” it said. Najib said in his speech that the rate of stamp duty on instruments of transfer of real estate worth more than RM1 million will be increased from 3 per cent to 4 per cent, effective Jan 1, 2018. CH Williams, Talhar & Wong (WTW) said the increase could further dampen market activity in 2017. However, the National House Buyers Association (HBA) said the increase is a right move as the rich should be taxed more and contribute more to the country’s revenue. HBA’s honorary secretary-general Chang Kim Loong said the current stamp duty on transfer of properties is considered to be low to encourage easy ownership of properties by the rakyat. “Stamp duty is the same regardless of the number or properties held. As a result of low entry cost to acquire a property, speculators have taken advantage of the low stamp duty regime and acquired multiple properties, depriving genuine buyers the opportunity to acquire their dream homes,” he said. He said HBA suggests that the current rate for stamp duty be maintained for the first two properties owned by buyers and increase it for the third and subsequent properties. It was announced that the stamp duty exemption for properties priced up to RM300,000 purchased by first-time buyers will be increased to 100 per cent from the current 50 per cent. Chang said the exemption of stamping fees is an excellent way to assist first timers to buy their first home as they would not be burdened too much with the stamping fees from the onset. For properties priced RM300,000, they could save RM5,000 in terms of transfer instrument and RM1,500 for loan facility. 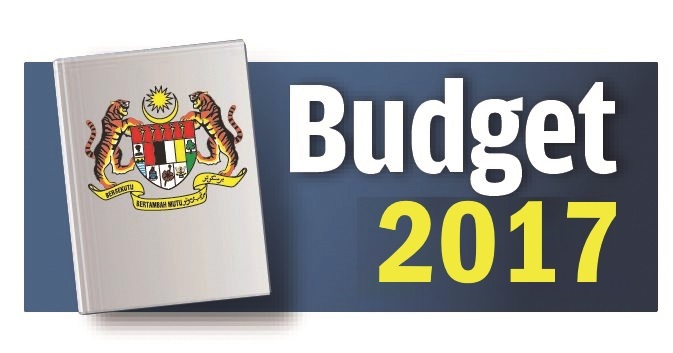 WTW also opined that the stamp duty waived for the purchase of homes up to RM300,000 by first timers would reduce their initial cash requirement and give a positive message that such homes should cost within the range. The Real Estate and Housing Developers’ Association Malaysia (Rehda) Malaysia lauded the effort, saying it will be of great help to spur the growth of the housing and property sector, particularly the affordable sector in these trying times. “Nonetheless, taking into account house prices which are higher in the major cities, Rehda hopes the government would also expand the stamp duty waiver for all properties of higher thresholds,” Rehda president Datuk Seri FD Iskandar said. On affordable housing, Chang said HBA is grateful that the government has taken more initiatives to build it. However, HBA wants it to pay more attention to the implementation part to ensure that affordable units are built at the right places and priced between RM150,000 and RM300,000, and not more than RM300,000 in prime locations. Chang said it must ensure that the homes are really for first timers and not to be made available for other buyers. Najib also announced a new “step up” end-financing scheme for PR1MA housing whereby financing would be made more accessible to the buyers, with total loan up to 90 per cent to 100 per cent. Chang said HBA is glad that the government continues to ban the Developers’ Interest Bearing Scheme (DIBS) which has been blamed for the unbridled escalation of house prices. However, the Association of Valuers, Property Managers, Estate Agents and Property Consultants in the Private Sector (PEPS) is not happy that DIBS was not reintroduced.